In the post I’m going to provide an example of application which will demonstrate Spring Data (JPA) in conjunction with Spring MVC, MySQL and Maven. Hibernate will be used as implementation of the JPA. As you probably know, I’m a real fan of java based configurations, so I will use this approach to configure the Spring Data. In the end of the tutorial you can find a link to the sample project on GitHub. In the article I want to concentrate on the Spring Data, so all stuff which is out topic I will omit. But in the start I want provide a bulk of links which can be helpful for you in context of this tutorial. Creation of dynamic web project in Eclipse with Maven. 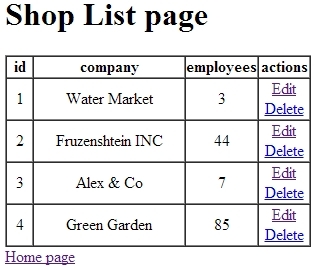 Simple Spring MVC application with the java based configuration. Spring MVC + Hibernate sample application. I believe that a screenshot of the project will help you to understand what’s going on. Pay your attention at @EnableJpaRepositories annotation. It enables usage of JPA repositories. The com.spr.repository package will be scaned to detect repositories. In the entityManagerFactory bean I determined that Hibernate will be used as JPA implementation. Initializer class will be omitted. Definitely it is the most simplest code snippet in the tutorial. But it requires the most high attention. The JpaRepository interface contains the basic operations which can be performed with any entity (CRUD operations). More information you can find on the official documentation page. In this way the ShopRepository is used. Finally I can use ShopSrviceImpl class in the controller. All JSP pages will be omitted, so you can find them source code on the GitHub. 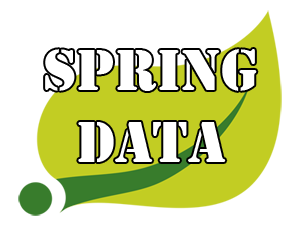 The Spring Data is very powerful weapon, it helps you develop an application more faster and avoid hundreds of boilerplate strings of code. Usage of Spring Data is the most convenient way to create a DAO layer in an application, so don’t ignore it in your projects.